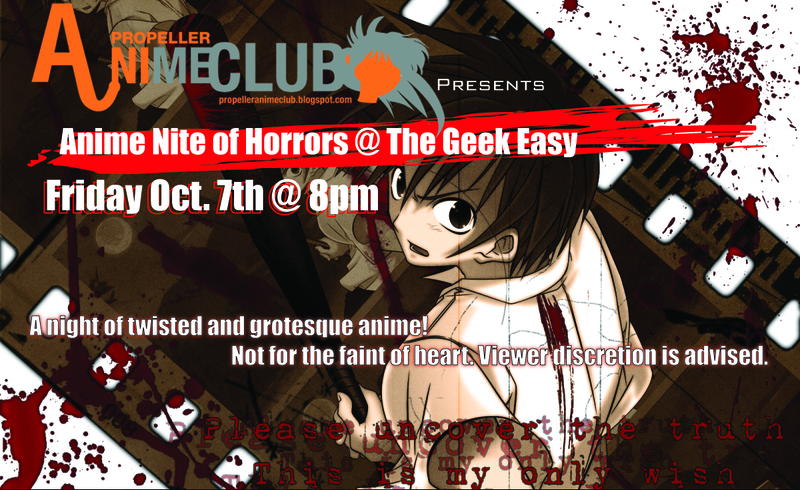 Propeller Anime Club presents Anime Nite of Horrors @ The Geek Easy, located at A Comic Shop in Winter Park! This event is FREE to everyone! It's going to be a night of twisted and grotesque anime! It's not for the feint of heart and viewer discretion is advised. 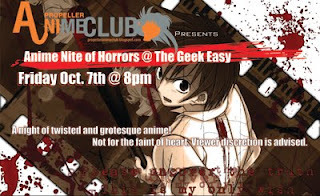 To those who have not been to a recent Anime Nite @ The Geek Easy, it's a fun party every month and a great chance to make friends with other anime fans without having to pay for a hotel or convention pass! A Comic Shop is located at 114 South Semoran Blvd Winter Park, FL 32792. You can follow Propeller Anime Club on Twitter @PropellerAnime or join them on Facebook here. Speaking of Facebook, RSVP to this event here.